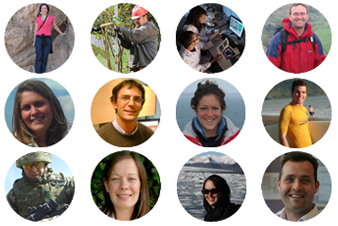 Geologists are employed in a diverse range of jobs in many different industries. Some work in the field, some in offices and others have a mixture of both. 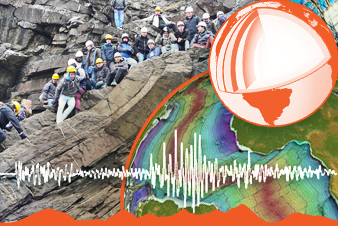 In a nutshell, Geologists work to better understand the Earth, but what do they actually do? Below are some examples of the tasks Geologists carry out in their respective industries. This is a field-based task many geologists undertake. Different types of field mapping will look for different aspects of the rocks of a particular area. Field mapping looks at the particular rock types and geological structures of an area and how they all relate to one another – the aim is to produce a ‘geological map’. It is undertaken by geology students and geoscientists who work for universities, mining and exploration companies or some oil and gas companies. Sampling trips are common for researchers and geological exploration companies. Geotechnical mapping assesses the engineering properties of a rock and its stability prior to undertaking any sort of construction or modification of the rocks (such as building a tunnel). Again, this is often a field-based activity undertaken with geological drilling. Geologists describe rock extracted by drills to understand the geology below the surface. Logging of sedimentary or volcanic rocks above ground is also used to study past environmental changes or accurately record sampling locations. Geotechnical logging – this assesses how strong or weak rocks are below the ground using rock core. Many geologists undertake laboratory work in their careers. A lot of what we know about the geology of the world and other planets has been discovered in laboratories. 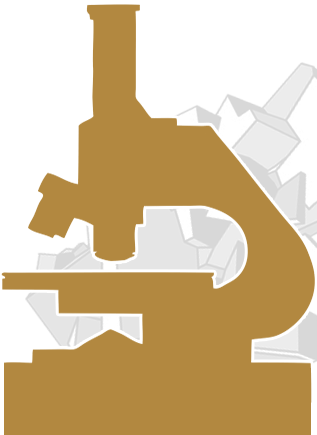 Researchers and those who work for some geology-related companies work in laboratories. There are also some geoscientists employed specifically in commercial laboratories that a huge number of geology-related companies (e.g. mining, oil & gas, engineering and environmental companies) use to acquire data. Geochemical analyses – using chemical methods to reveal details about samples (such as their metal content or the quality of oil). Geomechanical tests – testing the strength of rocks. Geographical Information Systems (GIS) – essentially, this is field mapping on computers – producing a digital database of the field data acquired by geologists. Database management – Geologists spend a lot of time ensuring databases are up to date. This can be vital for the modelling processes described below. Producing a 3-D model of a mineral deposit, oil field or aquifer. Modelling the subsurface geology that an engineering project will modify. Summarising all the findings from all the tasks mentioned above in a concise yet comprehensive manner is crucial for all scientists, and geologists are no different. Reports can range from short daily updates to supervisors or colleagues (such as drilling progress reports) all the way to some very hefty documents of several hundred pages (such as PhD dissertations or economic assessments for turning exploration targets into active oil fields or mines). What job sector could I work in?